In the absolute darkness of caves, rare creatures have returned to living in water to survive. 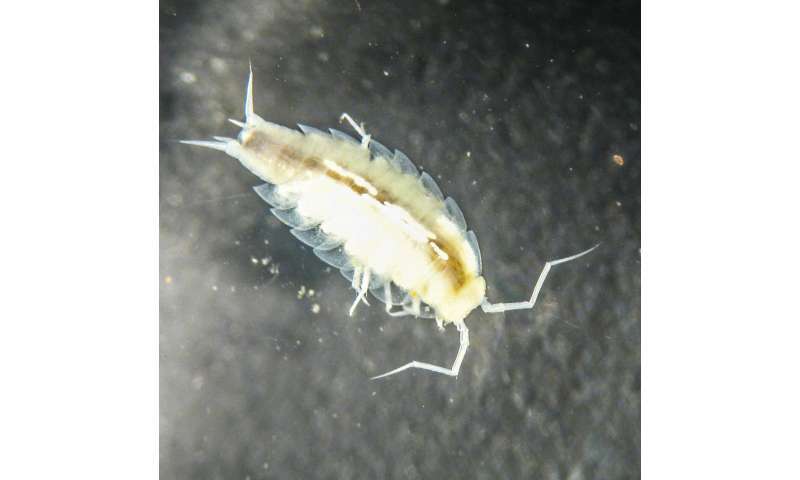 Astronauts looking for life in the underworld during the CAVES training courses discovered a new species of crustaceans that have completed an evolutionary full circle – from water to land, and back to water again. 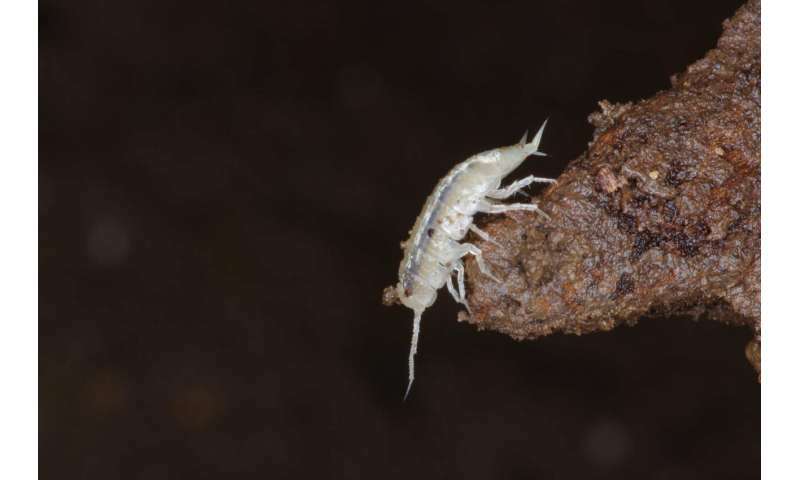 Just under one centimetre long, these animals belong to the suborder of terrestrial isopods, commonly known as woodlice. Most crustaceans such as shrimps and lobsters live in water while woodlice are the only group that has fully adapted to life on land. In returning to aquatic life, these blind and colourless creatures are a step ahead of their fellow species. Scientists have called it Alpioniscus Sideralis, from the latin word for stellar, as a tribute to the astronauts who found them. 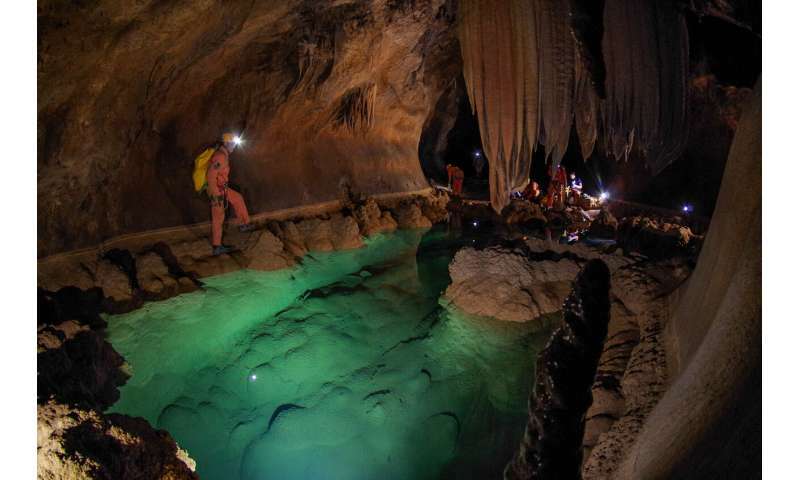 The surprising discovery adds a piece to the complex puzzle of subterranean ecosystems. Life manages to constantly adapt to extreme habitats with no sunlight, seasonal changes and scarce food. The Italian island of Sardinia is a biodiversity hotspot in Europe. It has many species, most of which are unique to the area. The cave fauna on the island is no exception. However, finding new cave species is a difficult job. Life often hides underneath stones and in cracks, wander on wet walls or seep out of the rocks through stalactites. It was during the 2012 CAVES expedition when astronauts joining the underground training noticed some interesting-looking crustaceans in a small pond. "I asked the astronauts to take some specimens. 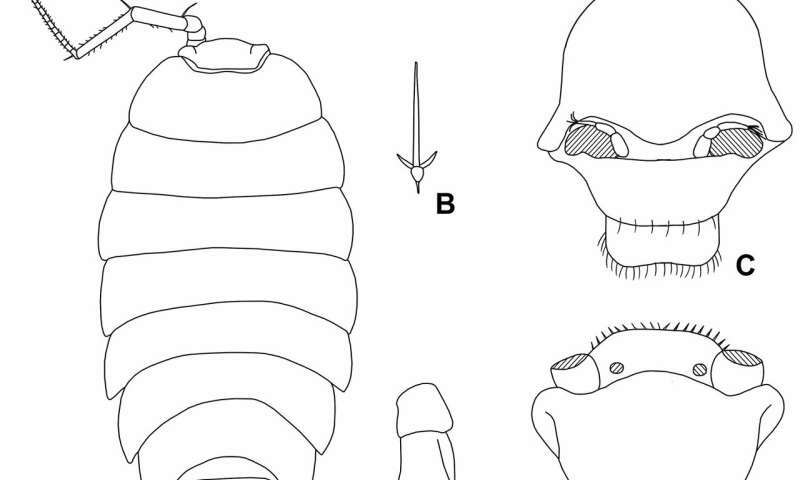 When we analysed them under the microscope we quickly understood that they were an extraordinary type of aquatic species," says Paolo Marcia, a zoologist from the University of Sassari responsible for the CAVES biology experiments. The search continued throughout subsequent editions of CAVES. All in all, astronauts from Europe, Russia, the United States, Canada, Japan and China have helped describe the new species. The results have been published by the scientific journal ZooKeys. Too young to remember, but certainly not indifferent to the world around him, Paolo started a vast collection of fossils, insects and rocks at the age of three. Later on, he was fascinated by a picture of a blind insect that sparked an interest that lead him to know the scientific names of most animals. "My dream was to describe these little creatures," says Paolo. As of today, he has discovered dozens of new species, including spiders, beetles and worms. One type of blind spider now has his name: Centromerus Marciaii. 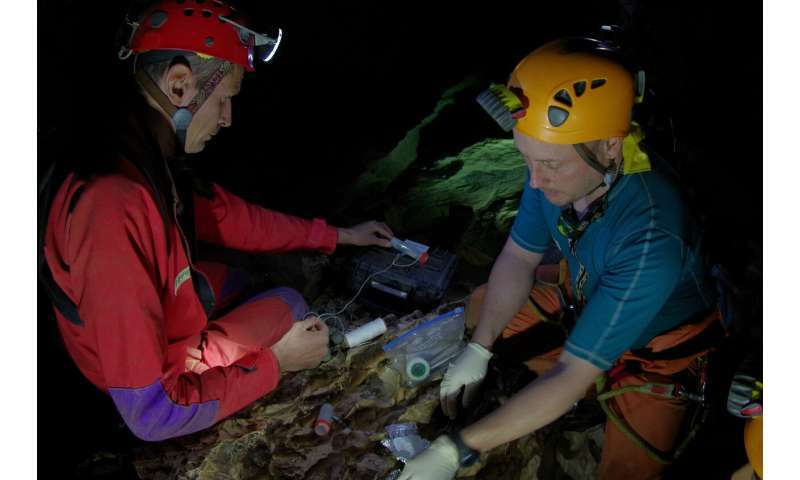 During CAVES, astronauts and scientists run a programme to study terrestrial and aquatic fauna. "Finding new species is not only crucial to understand these habitats, but also to protect them," points out Paolo. Besides its scientific value, the course keeps to its main goal: to train astronauts in alien worlds and situations on Earth for future space exploration. "I would like to think that when humans land on Mars and explore its caves, this experience will help them to look for other species knowing that life has few limits and can develop in the most inhospitable places," adds Paolo.